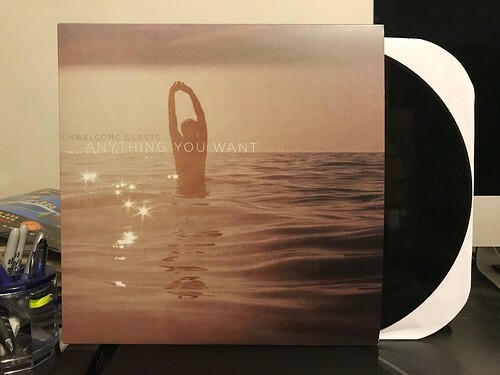 I couldn't tell you why it's taken me so long to write about this newest Unwelcome Guests album. They're a band I've been listening to for a really long time and I have just about all of their records, but for whatever reason this album lingered in the to do pile for way too long. I've been listening to it for a while and I can say conclusively that it's as good if not better than anything else they've ever released. Which is to say it's quite good. I've often tried to describe Unwelcome Guests by saying they seem to take the lead guitar dynamics of Dinosaur Jr. and mesh them into a rootsy, boozy Replacements style of songwriting. It's never as chaotic or ear blistering as Dinosaur Jr., but it's certainly not straight up Replacements worship either as the energy of the lead guitar and punk rock song structure keep things lively and engaging. If I had to say any sort of generic descriptor, it would be that Unwelcome Guests are pitch perfect indie rock for today in the same way that Archers of Loaf were when they came out with Icky Mettle. I don't think the records sound the same, but they both set themselves apart as standard bearers for the genre. Needless to say, I dig this album quite a bit and I wish it hadn't taken me so long to write about it and say so.